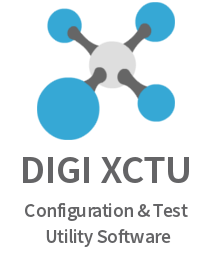 A new version of everyone’s favorite XBee configuration software, XCTU, is here! Among a few small updates like a refreshed look and feel, UI enhancements, and minor bug fixes, the XBee team has introduced three brand new features to the software. Here’s a look at what you’ll find in XCTU 6.3.
devices through the CLI of XCTU. From within the XCTU interface, users can test and measure the spectrum of the radio’s band. The analysis displays average, maximum, and minimum values of each channel. This is helpful to determine which channel to set your XBee radios to and troubleshoot network issues. If you haven’t already updated from within XCTU, just click here to download the software to your computer. Have fun and if you have questions feel free to tweet us at @XBeeWireless.